Chamber Made operates at the nexus of contemporary performance, music and sound to make intimate works that grapple with the resonant themes of our times. The company is renowned for redefining artform boundaries and producing works that emerge from a deep collaborative dialogue across artform disciplines. Bringing contemporary composition and performance dramaturgy together in ever-shifting forms, our works have been presented in theatres, recital halls, lounge-rooms, galleries, on iPads and online. 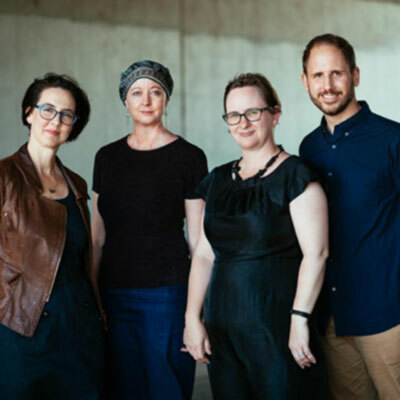 In addition to creating new works, Chamber Made is dedicated to making an enduring contribution to the broader Australian performing arts landscape. We create a locale for engagement, research, collaboration and innovation in cross-artform practice.